Well what else would you be doing on Australia Day? Fishing seems like a very Aussie way to spend the morning. So thats what Dave and I did last Wednesday. 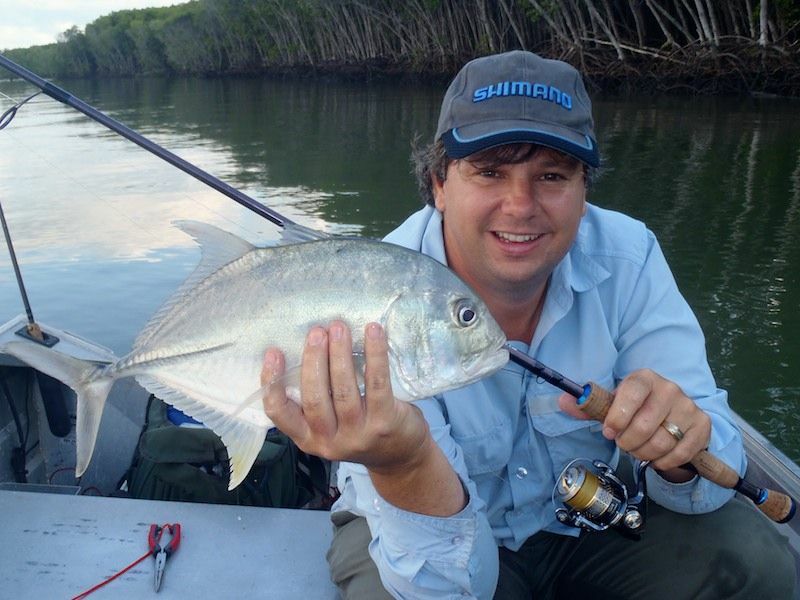 We planned to attack the local Mangrove Jack population of our favourite creek with some 3in Atomic Prongs. We hit the water nice and early to fish the majority of the outgoing tide. We concentrated around the mouth of the creek, but did have a look upstream at one stage. While the water in the creek is clearing up nicely, the Jacks still seem to be absent. 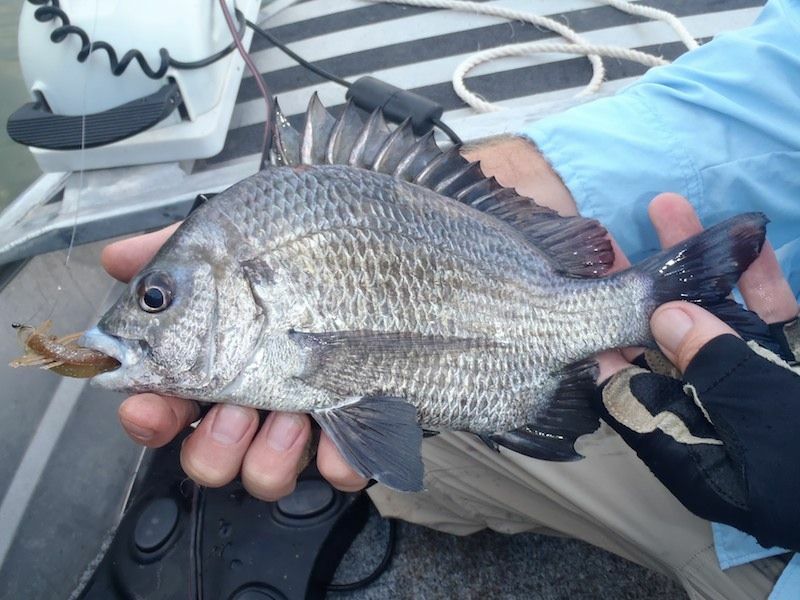 But the Bream have re-entered the system with vengeance! 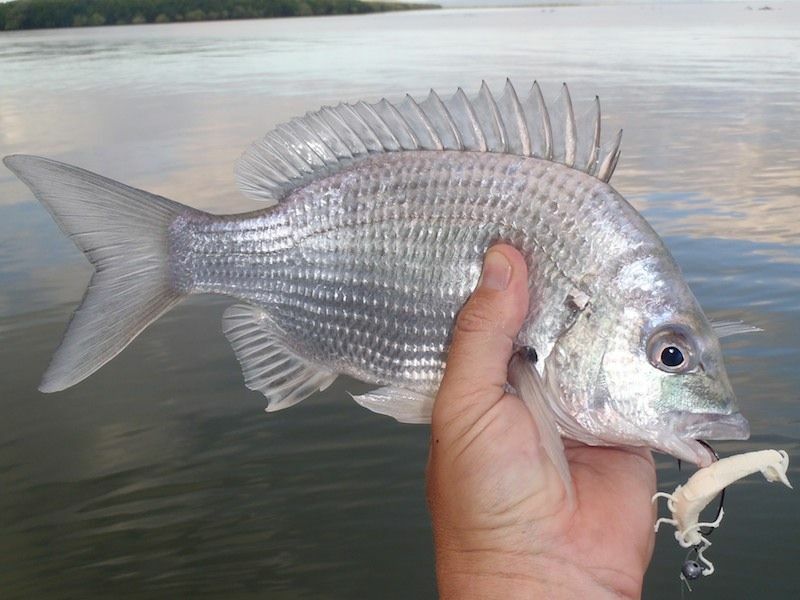 It didn't matter where we went we found the Bream willing and able. 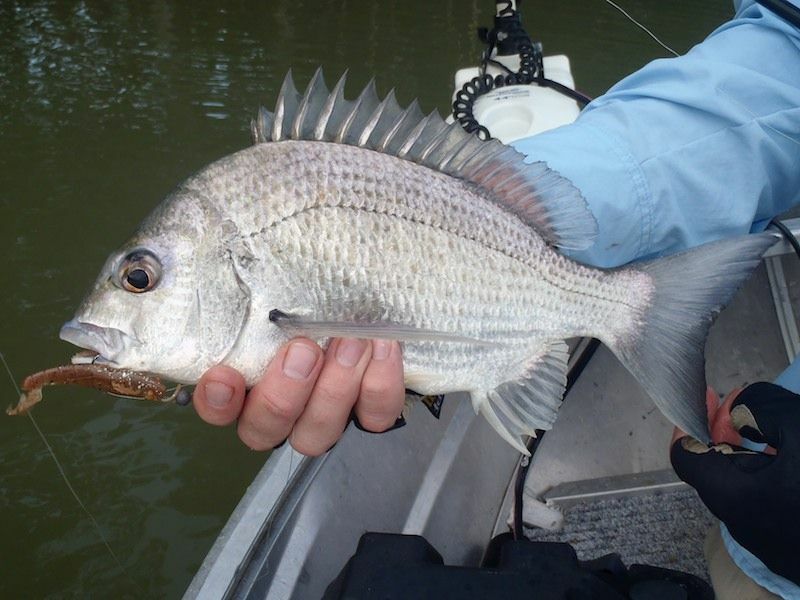 In all we caught and released well over a dozen fish for the morning, on good fish and on the plastic. But the only other species we saw was a small cod and a nice GT. 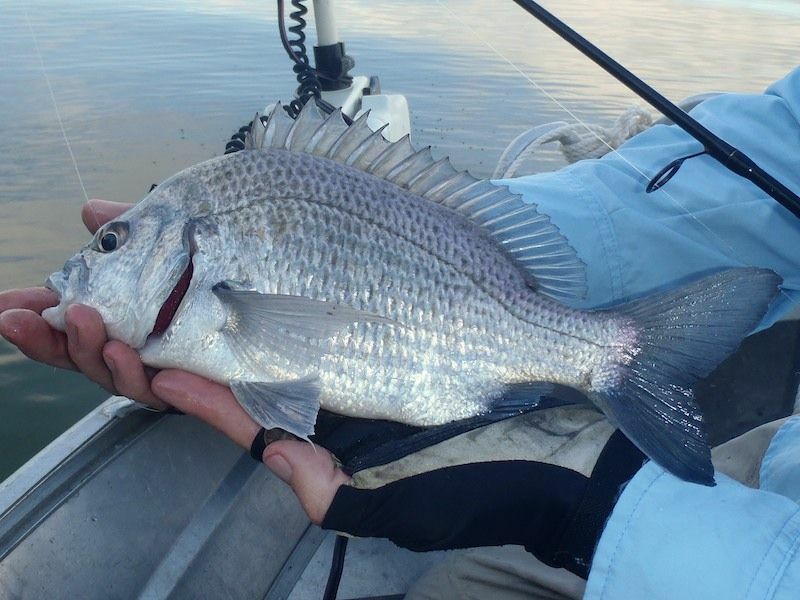 So while it wasn't the intended species, and we were a bit down about not even seeing a Jack, we had put away a pretty good session on the Bream. And now that the water is almost back to normal we are looking at 2 Cyclones in a week! Oh well, at least there might be a few new snags in the system to try out next time!